It was a bad week for the English football Premier League last week and I’m not even talking about all the clubs being eliminated from the Champions League and Europa League, (there will be no English representation in the quarter finals of European competition for the first time since season 1992/93). No, I’m talking about Facebook removing huge numbers of likes from the pages of the 20 Premier League clubs, and to top it all, it started on Friday the 13th. Of the 20 Premier League club pages, 11 lost a significant number of page likes in six days following 13th March. This is highly unusual. 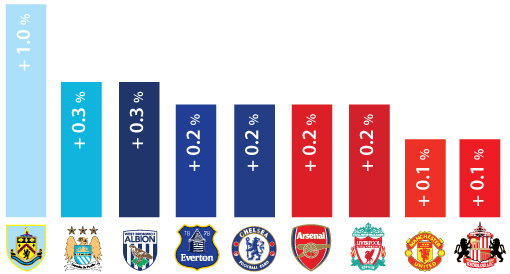 Combined, these 11 clubs lost more than 350,000 likes or the total of more than 2.15% of their audience. This might not sound like a lot but consider the popularity and the awareness of the Premier League clubs. Premier League pages can and do lose fans like any other page but at a very low ratio generally. 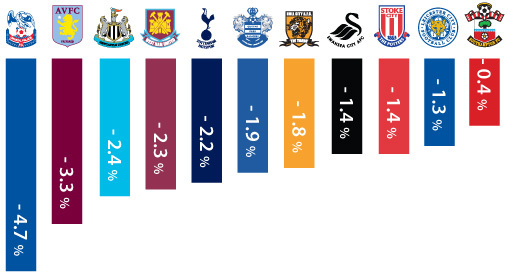 The previous week was more of a normal week for the Premier League clubs and their Facebook pages. Only 2 out of 20 clubs lost fans and they only lost 73 fans in total combined that week. That week the whole league gained more than 300,000 fans in total, while last week that number was less than 15,000. What has caused this drop? You might have heard the announcement or seen the notice in your Facebook insights dashboard. Facebook has just updated the way they measure how many people like a page by removing likes from “memorialised and voluntarily deactivated” Facebook accounts. Facebook has said that pages may see a decrease (“expect to see a small dip” is the exact quote) in the number of page likes after March 12th. Facebook claims that this is a move to make page likes more meaningful, but businesses and pages who have lost likes (especially those who have spent money on purchasing those likes in the first place) do not necessarily agree as can be witnessed in the comments area of that announcement. 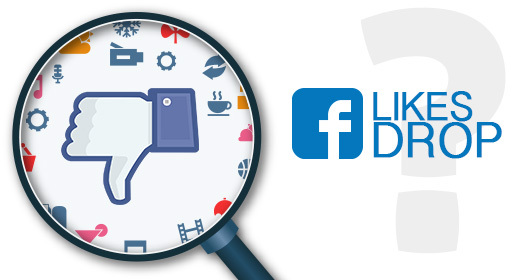 Did you experience a drop in page likes starting on Friday March 13th on your Facebook pages too?